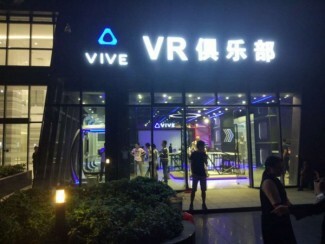 HTC and the Shenzhen Municipal Government announced plans to set up a joint China VR Research Institute, creating a 10 billion RMB (~$1.45 billion USD) Shenzhen VR Investment Fund to accelerate the development of the VR industry in China. China’s third largest city and one of the fastest growing in the world with a population of over 15 million, Shenzhen is considered to be the ‘Silicon Valley’ of Asia, manufacturing an estimated 90% of the world’s electronics. Like virtual reality, much of the successful growth and vast investment in this region can be attributed to the rise of the smartphone industry over the last 15 years. Home to Taiwanese manufacturing giant Foxconn’s biggest factory, the majority of the world’s smartphones are still produced here. 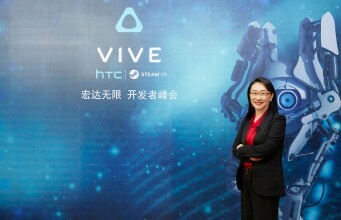 HTC, another Taiwanese company specialising in consumer electronics, now at the forefront of VR development, naturally has strong links with Shenzhen. From June to October this year, the company assisted in creating a four-year “Action Plan for Promoting Technological Innovation and Industry Application in Shenzhen’s VR Industry”. This groundwork lead to the recent announcement, that HTC has signed a strategic partnership agreement with the Shenzhen Municipal Government. With an initial fund of 10 billion RMB (~$1.45 billion USD), the Shenzhen VR Investment Fund, established by the Shenzhen Venture Capital Fund and HTC will become what the organization’s claim is the world’s largest single VR-focused fund, aiming to attract relevant enterprises and investment from within China and beyond. The partnership agreement aims to promote VR development together with the Shenzhen VR Investment Fund through the formation of the China VR Research Institute. This level of investment anticipates major VR ecosystem development, with an all-encompassing reach, covering the healthcare, military, engineering, design, and manufacturing industries. HTC has made major investments designed to promote VR development over the past year, with its Vive X Accelerator program announced in April and the introduction of the Virtual Reality Venture Capital Alliance, which now holds more than 14 billion USD in investable capital. The post HTC Partners on $1.5 Billion VR Investment Fund with Shenzhen Municipal Government appeared first on Road to VR.